One time, a simple elderly man came into a shop. So the merchant shaved his head and wore dark clothes. And then the next day, a military man came to the merchant shop and he saw the merchant with his shaved head and dark clothes. “Oh! This is very sad news.” So, the military man shaved his head and put on dark clothes. The commanding officer said, “Oh!” He didn’t want to show his ignorance. “Oh! Sargal Singh is dead!” So, he shaved his head. Then he reported to the Prime Minister. He said, “Oh! Oh no! Oh! Thank you for telling me this.” So, the Prime Minister came to report to the King. This is an example, we are laughing, but the principle that we are speaking of is very much molding our lives every day with our conception of reality, our conception of what is really valuable in life and what we should really pursue in life. 18 Responses to "The importance of being thoughtful"
Blind leads a blind to a pit!!!!!! Thank you for sharing, its saving! So true, only when we convert our tendency of trying become Lords to the attitude of serving God can we be happy. also it is said that if a lie spoken many times, it may be taken as truth by some people. Let us not get into just believing what others do. One should inquire at the right place, to the right person and when you are convinced logically and intellectually, you should follow it. Today many people are getting cheated in the name of yoga or religion because they just blindly follow someone. There should be proper questions and answers. Look before you leap. Thank you maharaj. We should not simply follow what the society does. Rather, we should ask ourselves why I am doing this, What will be its consequences. We must be thoughtful. Wonderful story to bring us the reality of this world. Extremely great story to think before acting. Not just blind following but rather be active by asking general questions. Many times happen with the public around. 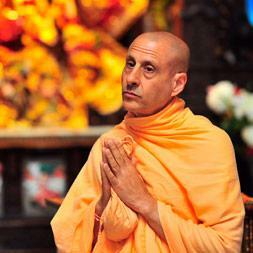 Amazing story on the influence of others on us by Radhanath Swami!!!!!! Lol such a funny story….trends of these days very much resemble this story…. 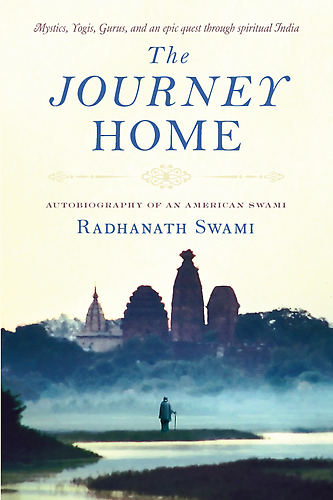 Excellent story by Radhanath Swami with deep insight, not to just carry away with what people around are thriving for desultorily. We should rely upon Sadhu, Sastra and Guru and guided by them constantly.